This comfortable 1 bed + den is located in the Miro building in the heart of Yaletown. Your new home offers city views, an open kitchen, stainless appliances, granite counters, gas stove, large den, a soaker tub, walk in closet & balcony. Parking and locker are included. 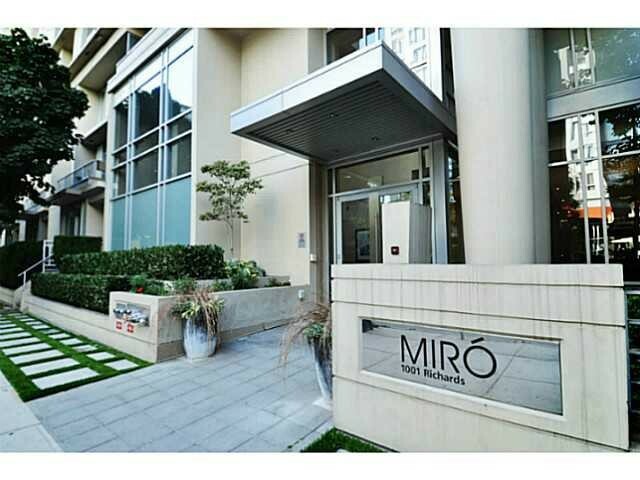 Directly across the street from Nesters and only steps from all the amenities that Yaletown has to offer, the Miro building is where you want to be! The building comes with a gym, amenity room, roof top garden and library.